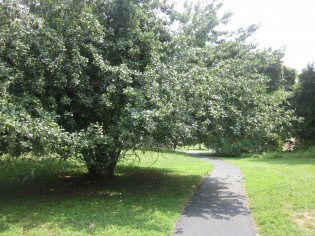 We see the same beautiful apple tree every time we walk to or from the pool. And we often talk about how beautiful the tree is and how much we love it. We wonder if we can eat the apples and what they taste like. Are they apples? Crabapples? Are they sweet? Are they safe or poisonous? 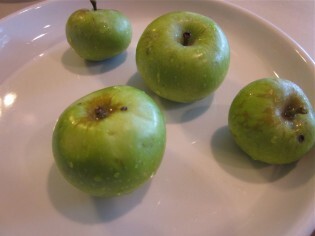 So today, our apple-eating world took a new turn: we tried the apples and we figured out what kind of tree it is. It’s only taken years and years, but we did it, and now we know, thanks to a super-quick lesson on how to search the web for information. There are tons of ways of teaching kids to search the web–and I know they’ll get to it in school, for sure–but I love to have Maddy, Owen, and Cora help me figure out the best keywords to use and to have them help me evaluate images, learning about any topic that interests us, be it frogs, bugs, fish, or birds. And the bit of smart summer learning shoved in between swim and lunch wasn’t too bad, either. Learning how to research, use keywords, and have a parent help them through the discovery of something interesting and engaging is super-awesome on-the-spot, everyday learning for any kid. 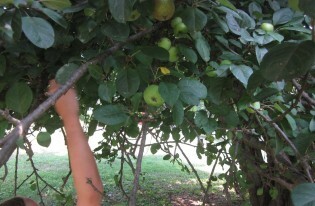 How to teach kids to search the web–reading, researching, and evaluating apple trees: We decided today to grab a few of the green apples from the tree we see every day–I’m not sure why. Maddy reaches for an apple. But in our hot walk home, someone said, We need to figure out what kind of apples these are. I wonder if we can eat them. And that’s all it took. I said, Okay, let’s grab a few and search for them on the internet. I’m sure we can figure it out before lunch even. Cora and Maddy grabbed a few apples, and we headed for the homestead. When we got home, and the kids were dry and settled, I said, Anyone up for a search? Maddy came over to the computer and she said, Let’s try ‘apples’. I typed in ‘apples’ and we hit Directory of Apples on the OrangePippen site. It was awesome, but it was way too much. 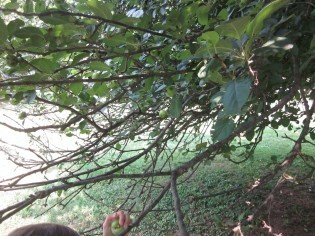 We stayed on Fast Growing Trees.com for a while and tried to identify the tree instead of the apple, but it was hard. We typed in ‘apple’ in the search box, and it helped. We stopped on Dwarf Granny Smith trees and were pretty sure we found our man! 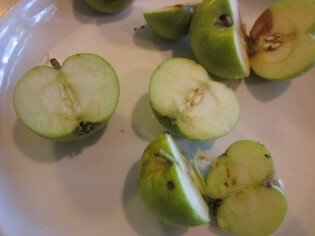 Gosh those apples looked much better on the outside than they did on the inside. . . These apples seemed safe to eat, so Maddy and I thought that if they were sour like a Granny Smith apple, then we could be pretty certain that we were correct in our research findings. That’s it–tiny bit of learning thanks to our everyday walk, the internet, and apple trees. 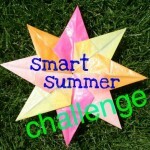 Please join us for the Smart Summer Challenge,a six-week campaign where we all pledging to sneak in some sort of fun learning into our children’s summer days. 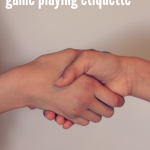 It can be simple learning–even 5 or 10 minutes a day. Anything and everything counts–even this teeny, tiny simple letter-squirting activity shoved in between lunch and the rest of our day. All we ask is that you link up here on Fridays and share what you’ve done (meaning: share one way you participated). Each Friday for the next six weeks, we’ll choose one participant to receive an awesome (and I mean totally worth your time awesome) prize. I love that you took the opportunity to build on your child’s natural curiosity. It’s a wonderful way to demonstrate that learning doesn’t end just because the last school bell sounded. thanks so much, Christina! It just worked out well today, you know how it *sometimes* goes! Just a note of thanks for all the wonderful gems you share. You certainly make my life that much easier as I share all these wonderful learning experiences and opportunities with my daughter. To see her excited about learning and enjoying it is the icing on the cupcake. Monette–Thank you. Thank you. Thank you. I totally needed this tonight–it means so much to know that this blog is helping others–really, it does. So awesome. 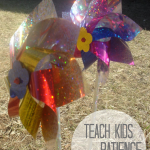 You are also putting a positive influence on kids learning about plants and trees. IT is important to extend the interest in horticulture because it is so vital for our future.